Some of the dietary practices that are currently promoted have the inconvenience of producing some of the effects that these practices are being undertaken to check in the first place—namely cortisol and estrogen. If any person were so persuaded to do so, he or she should bear in mind that a deficiency of calories, carbohydrate, salt, calcium, and excessive amounts of histamine, choline, and prostaglandins are some of the factors that activate both cortisol and estrogen. I’ve written about stress and the reasons for keeping it as low as possible. Refer back to those for context for this post. But briefly, the stress hormones—cortisol, adrenalin, noradrenalin, growth hormone, glucagon, and some others—are all catabolic and estrogenic. When they persist in the blood too long or excessively, irreversible degenerative processes are set in motion that affect all aspects and all levels of the body. First and foremost, a deficiency of glucose—in the cell and blood—potently activates the stress metabolism, operating centrally by way of the hypothalamic-pituitary-adrenal axis. At the same time, the stress metabolism decreases the output of thyroid hormones: Indeed, it’s been repeatedly observed that thyroid hormone output and adrenal cortex activity share an inverse relationship. Glucagon and growth hormone are increasingly secreted by the pancreas and pituitary gland in response to a deficiency of glucose. (Overexertion, exposure to cold, trauma, and emotional arousal also stimulate the secretion of these hormones, reinforcing the designation of these hormones as “stress hormones.”) These hormones liberate free fatty acids, which do not simply stimulate fatty acid oxidation, but also stick to proteins, diffuse in and out of cells, disrupt the structure of cellular water and their associated proteins, and activate inflammatory pathways in fat, white blood cells, etc. The catecholamines, adrenalin and noradrenaline, can temporarily elevate glucose levels, but they also inhibit the secretion of insulin, promoting the wasteful conversion of amino acids to glucose and glucose to lactic acid. Lactic acid increases the acidity near the cells that produce it, and this local decrease in pH favors the protonated form of acids, including free fatty acids, in which form they are more likely to enter cells from the blood, potentiating their toxicity. Keeping these stress hormones as low as possible permits the efficient oxidative metabolism of glucose. Some stressed people quickly respond by shifting their “autonomic nervous system” away from sympathetic dominance and more toward parasympathetic dominance, of which choline is the grandee transmitter. Choline acutely stimulates the secretion of insulin, aggravating hypoglycemia, thereby contributing to the exaggerated swings in blood glucose levels. Recently, I was asked a question on Facebook about agents for diarrhea, and I remembered offhand that anti-histamines, as a side effect, are also anti-cholinergic, which decrease gastrointestinal motility and secretion so as to help with diarrhea. The so-called first generation anti-histamines, notably diphenhydramine or Benadryl, can be supportive in times of stress by buffering against hypoglycemia—both by blocking choline, which, once again, stimulates insulin secretion, and histamine, thereby activating uncoupling proteins in the pancreas. Because pantothenic acid (vitamin B5) and riboflavin (vitamin B2) are needed by insulin-degrading enzyme (or insulinase) to break down insulin, a deficiency of pantothenic acid or riboflavin could therefore cause insulin to persist in the blood, aggravating hypoglycemia, too. A high protein diet, as in the Paleo diet, leads to a persistent elevation of the stress hormones, mainly glucagon, adrenalin, and cortisol. 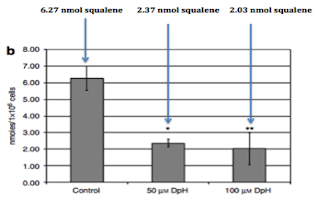 The resulting free amino acids (namely tryptophan, phenylalanine, tyrosine, and leucine) and free fatty acids, inhibit the uptake of T3 into cells and into the central nervous system by way of the blood brain barrier.2 Diets such as these are promoted to be anti-inflammatory and beneficial for metabolism and weight loss, but nothing could be more wrong; they are proinflammatory and anti-metabolic in every sense. People talk about sugar as if it is a drug, affecting the brain in a way that cocaine does. Be that as it may, consider for a moment that practically all body changes are made known to the hypothalamus and the hypothalamus governs much of the endocrine system and immune system, in which many (real) functional disorders are thought to originate. But these functional disorders are really problems of the hypothalamus, rather than problems of the immune system, endocrine system, or whatever. Know also that there exists a connection between the cerebral cortex and the hypothalamus, and this connection underlies the physiological effects of psychological stress, such as mental conflict. What has been the effect of telling people to avoid certain foods like sugar and to fight their natural cravings for such? Or of telling people that they have (imaginary) disorders with no basis in anything? A decrease in ATP generation tends to reinforce itself, in part, by inhibiting the uptake of thyroxin, T4, into cells, which is an energy dependent process. In the liver, free fatty acids inhibit the uptake of T4 and this is, I think, the major cause of the deficiency of T3 in diabetes and low-carbohydrate and Palo dieters, as much of the conversion of T4 to T3 (about 60 percent) occurs in the liver. As to the brain, when the energy charge decreases, neurons become hyperexciteble. The inability to generate adequate amounts of ATP keeps neurons partially depolarized, which, by allowing calcium to flow into the cell from the blood in droves, increases the neuron’s likelihood of becoming “excited” upon stimulation. And, the inability to regulate the uptake of calcium into pre-synaptic nerve terminals leads to the inappropriate release of transmitters, which are then available to act on, and to stimulate, their target cells excessively. Epilepsy, seizure, psychosis are some neurological conditions affected negatively by a deficiency of energy, for which pharmaceutical companies have taken advantage of and developed drugs that target said conditions somewhat rationally. In the heart, a deficiency of ATP depresses left ventricular functioning, as there is less energy available for robust contractions and complete relaxations. The impaired contraction also increases the ventricular blood volume so as to impose an increase in pressure on the left side of the heart. Less blood is pumped for every beat of the heart as a result (reduced stroke volume). Moreover, the increased resistance to flow in the blood vessels due to the deficiency of energy (or oxygen) adds further to the stress on the heart. Anything that increases the oxidative metabolism of glucose (of which there are some agents currently in the pipeline) appears to increase the heart’s viability and the chances of survival in patients with heart failure and arrhythmia. The addition of magnesium, by sparing ATP, and fructose (or sucrose), by decreasing the cell’s redox potential and by stimulating respiration, can quickly reverse these pathological cellular events. More generally, a deficiency of energy, acidosis, and hypoxia can be corrected with some supportive care that includes some of the B vitamins, insulin, bicarbonate, and sugar. Estrogen could apparently aggravate all these problems by interfering with oxygen use. Persistent hyperglycemia and hypertension are two prominent signs that a person is operating on high levels of stress hormones, due to cortisol and aldosterone, respectively. An increased susceptibility to infections, gastric ulcers, and eventually, diabetes and cardiovascular disease are others. Avoiding starvation, high protein, low-carbohydrate, and salt-restricted diets keep the aromatase enzyme, aldosterone, and cortisol in check. (Seems obvious, right?) Prostaglandins and histamine are activators of cyclic AMP-dependent protein kinase and thus aromatase, so NSAIDs and diphenhydramine can help to balance excess estrogen levels. Hydroxylated flavones—apigenin, chrysin, and quercetin—inhibit the final rate-limiting step in cortisol synthesis, cytochrome P450 1B1.3 However, quercetin is known to induce the aromatase enzyme, while apigenin, as well as naringenin, inhibit the aromatase enzyme. I mention aromatase here to point out the fact that aromatase is activated by stress, like cortisol, aldosterone, glucagon, etc., are. Finding fruits and vegetables that contain the desirable balance of these flavonoids has been thus far elusive. There is some indirect evidence that caffeine has anti-estrogenic effects and the organic acids in coffee inhibit the regeneration of cortisol in tissues.4 In men, cortisol increases the expression of aromatase and estrogen, and estrogen, in turn, activates the enzyme that regenerates cortisol—the same enzyme that is inhibited by coffee. I have to go, but I will delve into some of the even more annoying ideas that are bandied about as fact on the Internet. For now, suffice it to say that if you read about or try a diet the goes against your base instincts (believe it or not, even telling you to eat despite not being hungry), run the other way while waving your hands in the air and screaming. 1. Pelle, E. et al. 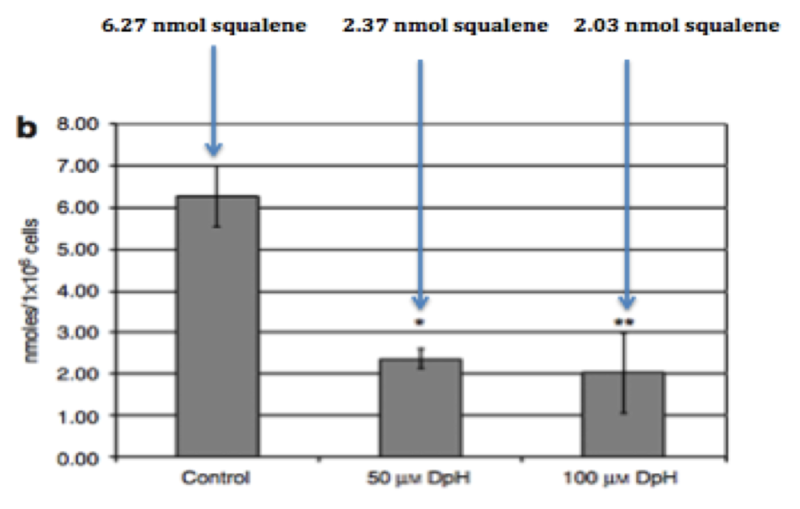 Identification of histamine receptors and reduction of squalene levels by an antihistamine in sebocytes. The Journal of investigative dermatology 128, 1280–5 (2008). 2. Hennemann, G. et al. Plasma membrane transport of thyroid hormones and its role in thyroid hormone metabolism and bioavailability. Endocrine reviews 22, 451–76 (2001). 3. Cheng, L.-C. & Li, L.-A. Flavonoids exhibit diverse effects on CYP11B1 expression and cortisol synthesis. Toxicology and applied pharmacology 258, 343–50 (2012). 4. Atanasov, A. G. et al. Coffee inhibits the reactivation of glucocorticoids by 11beta-hydroxysteroid dehydrogenase type 1: a glucocorticoid connection in the anti-diabetic action of coffee? FEBS letters 580, 4081–5 (2006).